The Island Princess cruise ship will sail an epic 111-day world cruise in 2021 and it will be one of the most robust the cruise line has ever offered. 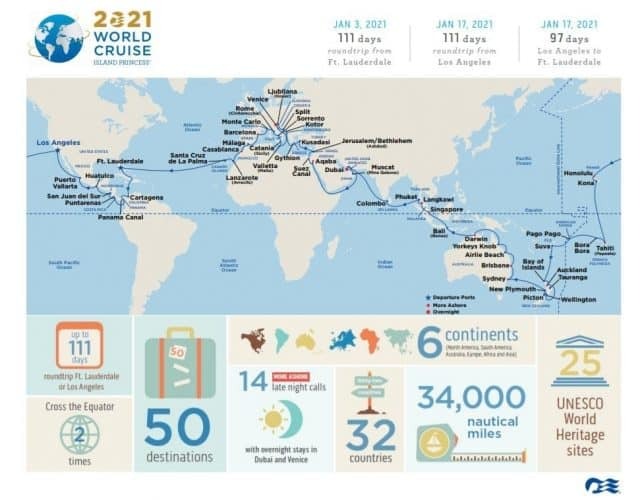 The voyage will visit 50 destinations across 32 countries and six continents. The ship will depart Fort Lauderdale, Florida on January 3, 2021, but also a shorter 97-day voyage is available for booking which departs Los Angeles, California on January 17, 2021. The world cruise has just opened up and is on sale but it will set you back with rates starting from $19,999 per person. 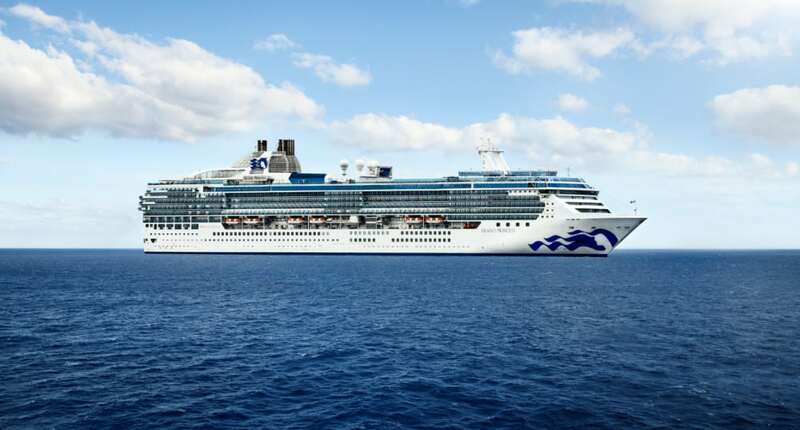 Princess Cruises is offering early booking perks including $1,000 onboard spending credit, free airfare, stateroom upgrade, gratuities, Wi-Fi, specialty dining and wine. The perks will apply to the 97-day and 111-day cruises only if booked November 30, 2019. This will be a debut world cruise for Island Princess which is 91,600 gross tons and featuring more than 700 balconies. She has a guest capacity of over 1,900 at double occupancy and is currently based out of Fort Lauderdale.